Beautiful furniture never fails to make an impact. Furniture is a big part of decoration. Be it for a spacious home or for a cosy apartment, a house or an office, furnish every conceivable space with our products. We provide high-quality modern furniture to be enjoyed for many years with a focus on dependability, user satisfaction, and great quality. The Vintage deck-mount bathtub filler provides vintage looks combined with outstanding performance and durability. 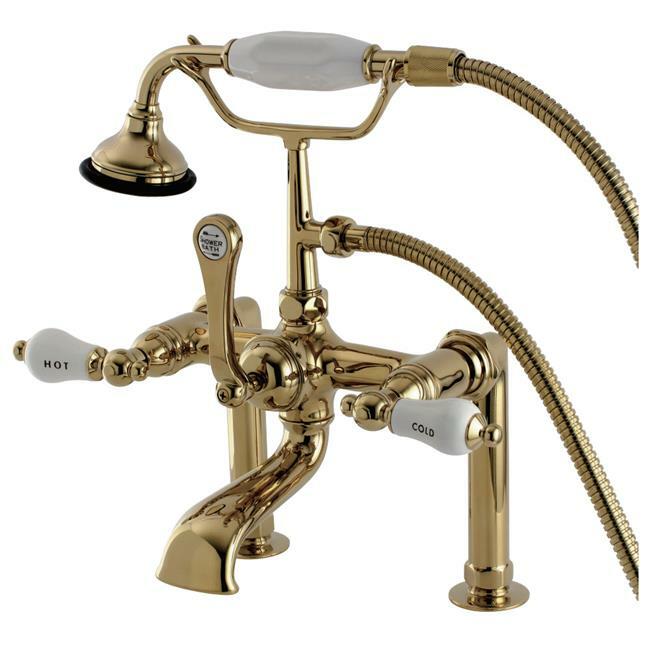 With two easy to operate lever handles, this clawfoot tub faucet features an elephant spout and a traditional telephone style hand shower. Complete the look of your clawfoot tub with this faucet which installs on 7'' centers on the rim of the tub. This are in4 tarnish and corrosion resistant finishes: Polished Chrome, Polished Brass, Oil Rubbed Bronze or Satin Nickel.